Starlim makes it easy for you to do your Vinyasa yoga teacher training in India through Shiva Tattva Yoga School. Vinyasa yoga is sometimes also referred to as flow yoga as it focuses on fast paced series of asana or postures. There is no holding of individual poses but rather a movement from one asana to the next. However, Vinyasa yoga teacher training is not just about asana and breathing but it is a learning that impacts your body as well as your spiritual and emotional shelf. Vinyasa yoga originates from hatha yoga and incorporates some aspects of Ashtanga yoga where proper sequencing of asana has to be mastered. Vinyasa Yoga is considered to be a powerful form of yoga which allows you to energise yourself as the postures flow with the breath. Some beginner learners could find Vinyasa yoga challenging but if you have the inclination to learn Vinyasa yoga and teach the style to other leaners then Shiva Tattva Yoga School can help you understand the intricacies of how to inhale and exhale as you move from asana to asana. Vinyasa yoga teacher training in India has become popular as Vinyasa style of yoga offers a number of benefits. As you practice the standing asana, backbends, inversions and arm balances you stretch and strengthen all the muscle groups in the body which improves flexibility. We teach you how to synchronise your breath with your body movements which allows fresh oxygen to flow into the muscles which reduces stress on the joints. 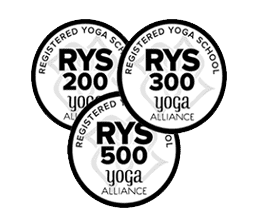 Vinyasa yoga teacher training in India at Rishikesh is even more beneficial as you will be able to breathe in the clean Himalayan mountain air. The Ujjayi method of breathing and the asana used in Vinyasa yoga is taught by experts at Shiva Tattva Yoga School. Vinyasa Yoga Teacher Training in India is based on the recommended Yoga Alliance standards for Vinyasa yoga. The asana sequence is not rigid like that in Ashtanga Yoga so yoga teacher aspirants have the flexibility to learn numerous Vinyasa yoga asana and mix and match them during the practice. Since Vinyasa yoga incorporates other styles of yoga so even if you know any other styles you can easily undertake Vinyasa yoga teacher training in India. Even if you are a beginner you will like the challenge of the Vinyasa yoga as you master the asana sequence with breath control. This style will enable you to learn the skills you need to build a strong foundation for a more advanced yoga practice.